A landmark national study of 9,363 low-income, married men and women in eight American cities found many of those who participated in roughly 30 hours of skills training classes were more likely to have boosts in relationship happiness and marital stability sustained 30 months later. 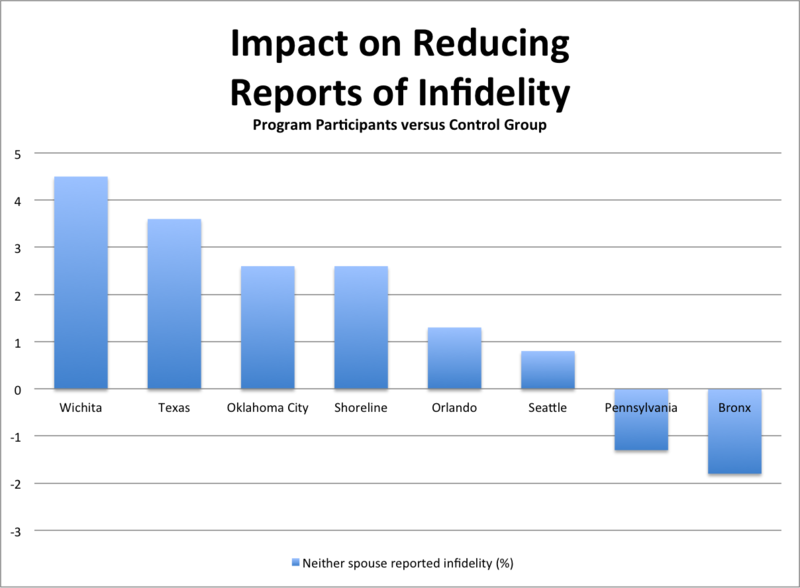 Data Source: MDRC Final Impacts from the Supporting Healthy Marriage Evaluation Technical Supplement for Office of Planning, Research and Evaluation, Administration for Children and Families, U.S. Department of Health and Human Services, Published April 2014. 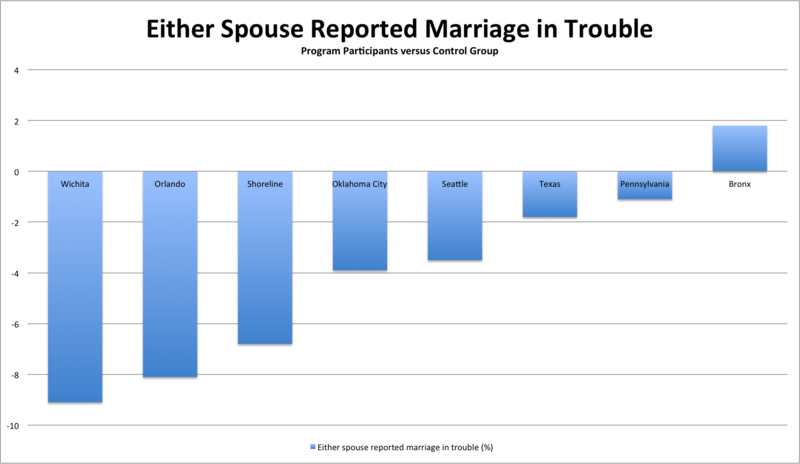 The Department of Health and Human Services funded Supporting Healthy Marriages study did not find any significant impact on the percentage of low-income couples who stayed married. 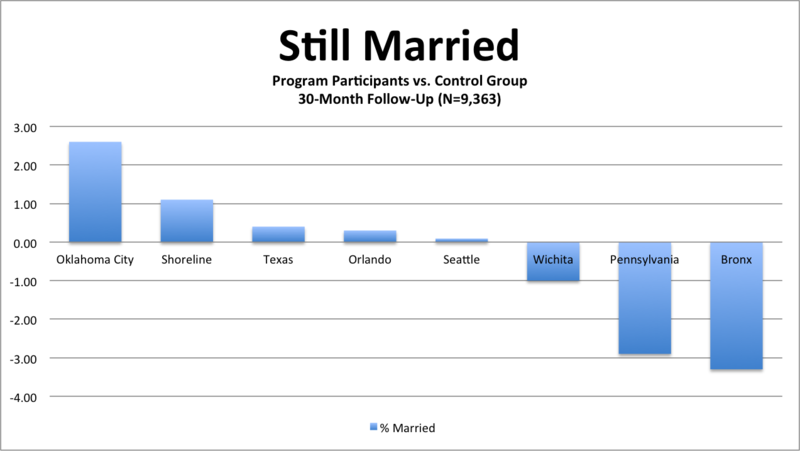 While couples who received skills training from one of four leading evidence-based programs in five of the eight research sites were as or more likely married 30 months later, couples at three (Wichita, Pennsylvania and the Bronx) were more likely to have broken-up. In seven of the eight research sites, couples who received skills training were less likely to report their marriages were in trouble. Similarly, men who received skills training in seven of the research sites – and women at every site – reported increased warmth and support. Participants at every site except the Bronx were less likely to consider their marriages at risk. 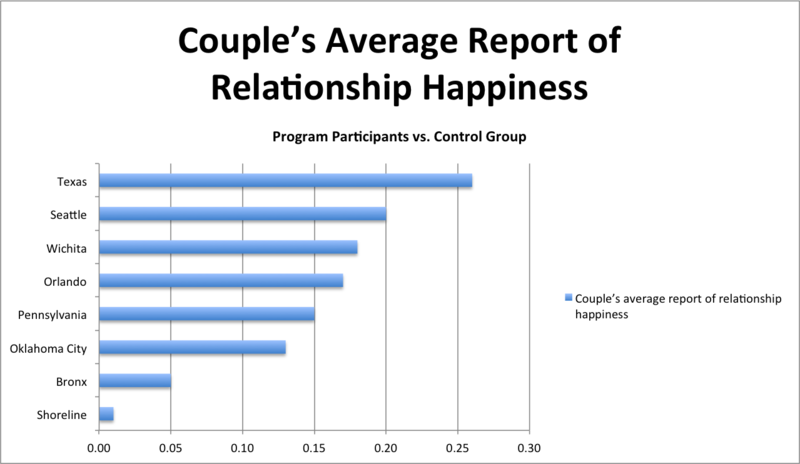 Seth Eisenberg, author of PAIRS Essentials and LOOPS: The Secret Saboteurs of Intimacy, said the findings should guide future decisions of marriage educators. The study found sustained improvements in positive communication skills for both men (seven of eight sites) and women (all sites); participants in six of the eight sites (all except Pennsylvania and the Bronx) were less likely to have experienced infidelity during the 30-month evaluation. 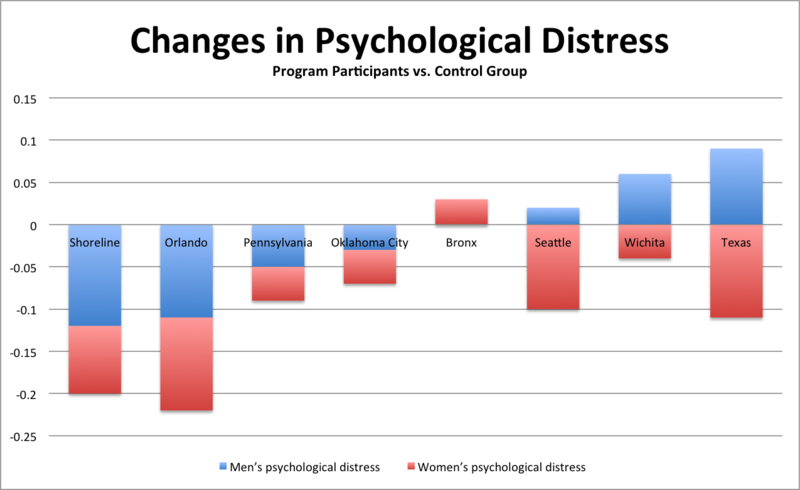 In four sites, most notably Shoreline and Orlando, men and women who received training also reported less psychological distress. In the Bronx, Seattle, Wichita and Texas, either men or women had increased symptoms of distress. While the overall findings of the study do not show evidence-based marriage and relationship education significantly impacts the rate of divorce, it does show that some of the programs studied provide lasting benefits for marriage quality and satisfaction without any negative consequences. 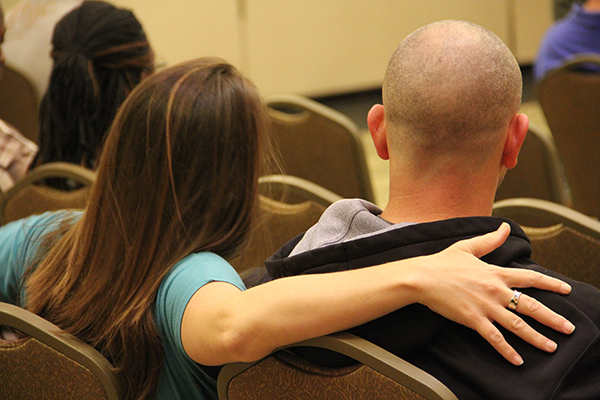 National evidence-based marriage and relationship education curricula included in the study were PREP Within Our Reach (Pennsylvania, Texas and Wichita); PAIRS For Our Future, For Our Family (Orlando); Loving Couples, Loving Children (Bronx and Shoreline); PREP Becoming Parents Program (Oklahoma City and Seattle).